Other aspects of Mr. Trump’s agenda are putting American tech at a disadvantage, too. While China is investing in solar power, we’re propping up industries that are politically important to Mr. Trump, like coal and, perhaps soon, soybeans. Funding the past while your adversary invests in the future is probably not the best way to stay ahead economically. 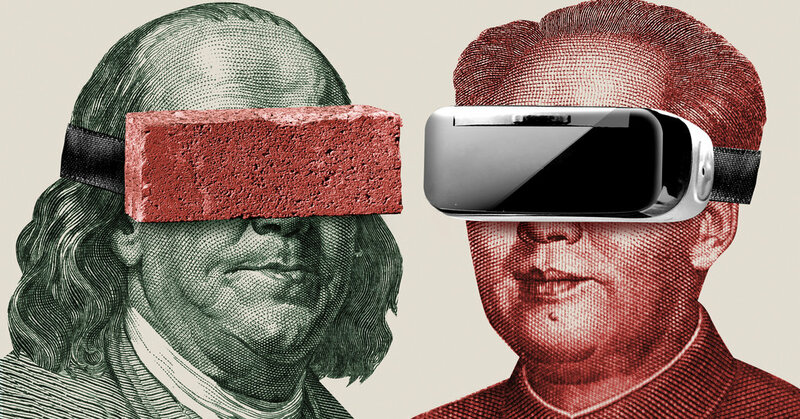 But beyond simply opening the spigot to more money, we should push the American government to create an alternative to China’s vision for tech dominance for another reason: It would be a way to develop a more accessible tech industry. One huge problem with today’s tech business is the unequal way it distributes its gains. Tech advances have created immense wealth, but much of the money has gone to just a small number of people clustered around two cities on the West Coast. Now — as we’re suddenly realizing the power that tech giants can exercise over politics, news, our psyches and other basic aspects of democracy — there’s a real question about whether they face any meaningful challenge to their rise. Government spending can help there, too. When the government creates tech, its gains tend to be spread widely. The internet is the open system it is today because it was sponsored by the government, not private telecom giants like AT&T. The GPS satellite system is available to anyone who wants to use it because taxpayers paid for it. The same can be true of much of what we invent tomorrow. If the American government decided to plan for the future, rather than sit on the sideline as it came to pass, it could spur the development of the same kind of decentralized, open tech infrastructure that fostered today’s miracles. It’s a matter not just of access but of agency, too. Many of the technologies that will dominate the future could change life in substantial ways. Artificial intelligence and robotics could reshape labor markets and much else about how Americans work. Energy technologies might transform your city. Yet we really have no good way to prepare for these changes. For several decades, in the United States, we’ve been in the mode of reacting to technological change rather than anticipating and planning for it. As I’ve argued before, this puts us in a constant state of what the futurist Alvin Toffler called “future shock” — a state of ever-present unease about what technology has wrought, which is the truest emotion of 2018. A federal plan to win this or that industry isn’t guaranteed to work. But at least it will prompt us, as a country, to think about what’s coming.